"Having made Mission Beach home in the early 1970's and been inspired by the natural beauty of the area, it is very difficult to watch as the special values are steadily eroded by unnecessary and inappropriate development, especially during economic booms and perceived development opportunities following natural disasters such as cyclones," says Liz. 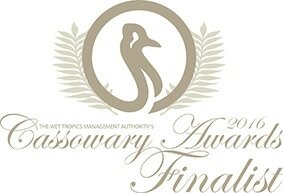 The Mission Beach Cassowaries website has been set up as an information sharing site that helps visitors to understand the outstanding World Heritage values of Mission Beach and the threats being posed by development, allowed under current legislation. A sustainable future for Mission Beach, if the natural values are to be retained, will rely on the community and local government working to protect the reason visitors are attracted to the area. Low impact nature based tourism must be a priority in promotion and business development to attract visitors who have an appreciation of the natural features of Mission Beach. Strong and unambiguous planning schemes, aiming to protect and restore important natural landscapes, are the only chance of stopping the incremental loss that has resulted in the 'death by a thousand cuts' of some of the most spectacular natural environments of the world. "Mission Beach is one of those" says Liz. 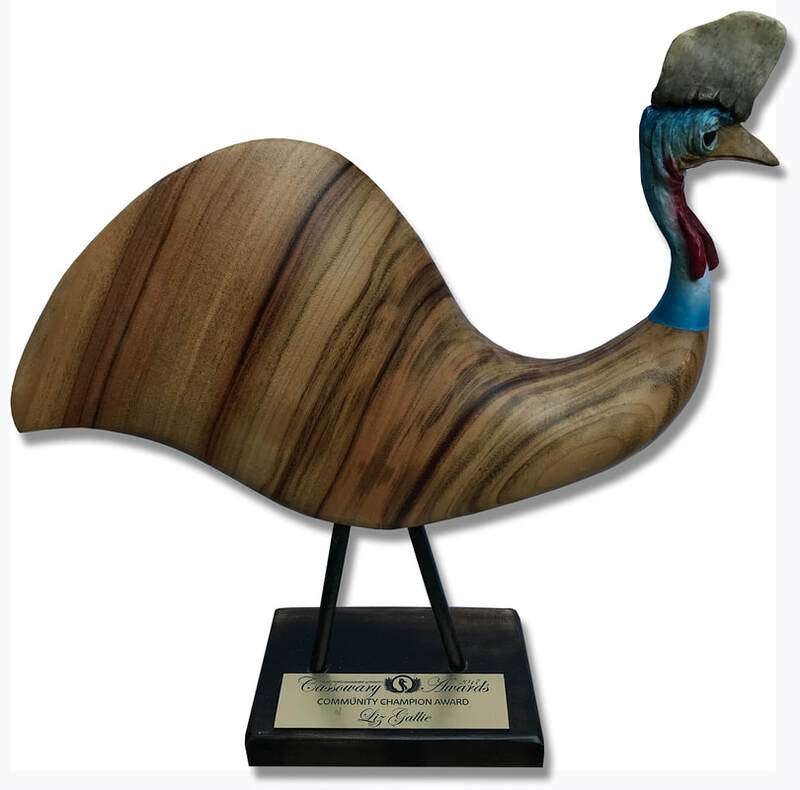 The endangered Cassowary is an integral part of the health of Mission Beach culture, identity, environment and economic future. You can follow the lives of some of the cassowaries of the Cassowary Coast on Mission Beach Cassowaries facebook. Liz has joined with an alliance of individuals (and organisations) from around the Cassowary Coast region who are passionate about the natural environment and active in helping the conservation effort. You can read more on the Cassowary Coast Alliance (CCA) website. Community Champions Award | Sponsored by Department of Environment & Science Liz Gallie (Mission Beach). 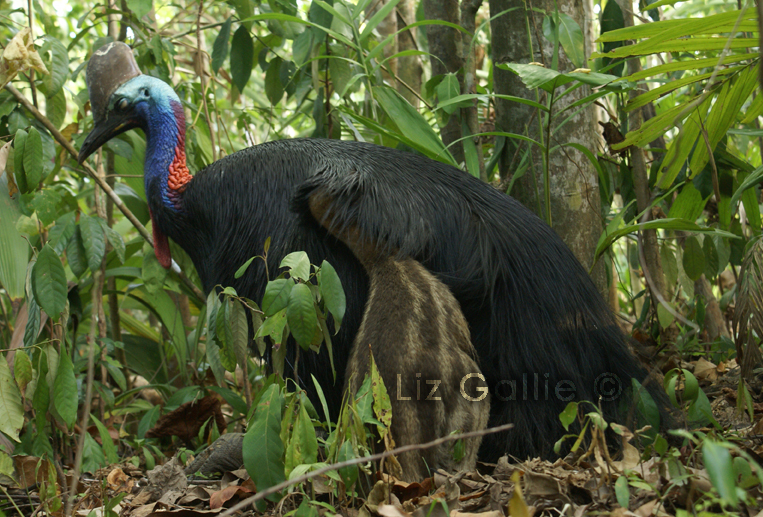 An advocate of the World Heritage values of the Wet Tropics and its outstanding unique values, Liz Gallie has employed her strong communication skills to several websites and social media platforms to encourage the protection of Cassowaries and their habitat. Liz’s Cassowary Recognition Project has also resulted in comprehensive territory and home range mapping of this keystone species.